June is known for their snowboard and terrain parks. 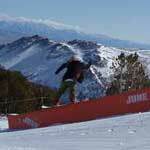 June Mountain is a great family destination where some of the family skis, and some like to ride their snowboards. 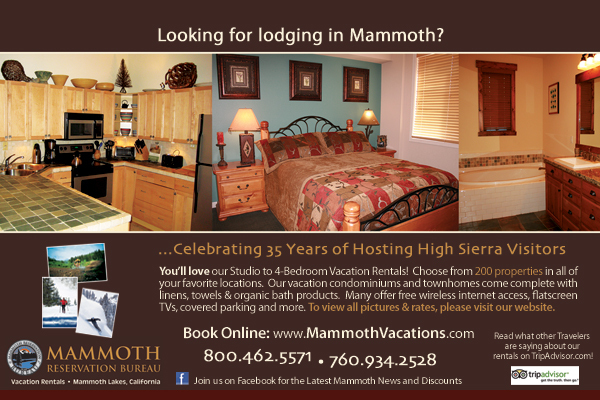 It is always less crowded than it's sister Mammoth, and the lift tickets are a lot less expensive. It is not a wimp mountain as their is plenty of ski able terrain that is quite difficult. Yes, they have beginner and intermediate slopes, and the City Concierge thinks they rate the hill on the easy side! June Mountain has plenty of terrain for everyone. Here are some other links for the June Mountain Ski Resort and June Lake Area.